do you remember this sweater? from 2010?!? well, i only had half of one of the fronts to finish. so on vacation i finished that and sewed the seams. now just to block and the button band! yay! 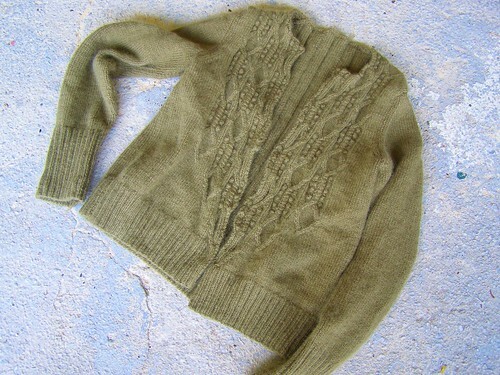 This entry was posted in cosyknitsliterally, knitting, sweaters by cosymakes. Bookmark the permalink. thanks karen! i can’t wait either. started the neck ribbing last night.